In third and fourth chapters the details of 'Yajnam' explained; in sixth chapter Lord is about to explain 'Dyanam'. 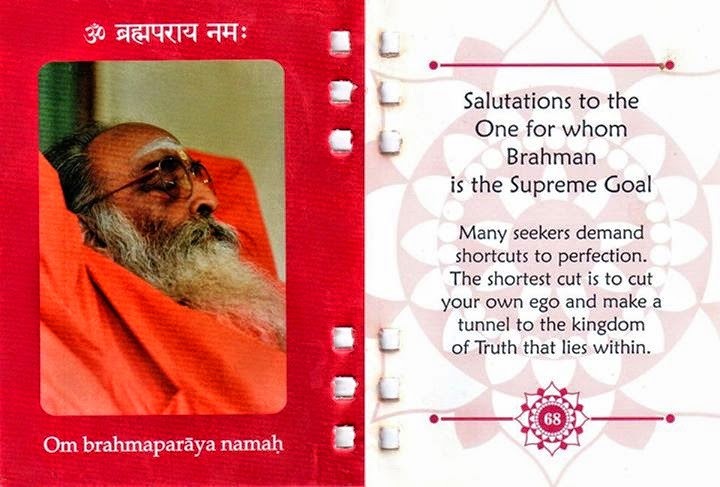 Therefore, the chapter in between i.e, fifth, the name given "Karmasanyasayogam" is very suitable. What is the true 'Sanyasam;' how to follow 'Karma-sanyasam;' in what way these things help Sadhka-s; these things are analysed in this fifth chapter. It is a bridge between from the field of 'Karmam' to the field of 'Dyanam'. That is, this is a link between "Karmam and Dyanam." This type of relationship is not clearly seen Veda-s, this is all about that in Gita. Because of this, it is not to be understood that this is a new creation of Gita. Gita brings out the light of 'Vichara- flow, which is hidden in the literatures of Veda-s.